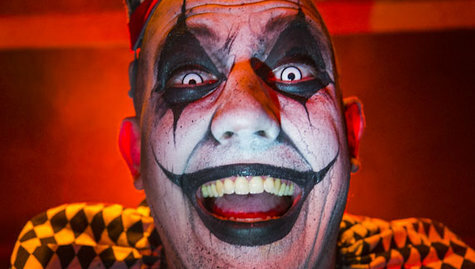 From the creators of Scarehouse bring an all new horrifying experience to the Pittsburgh Area. Inside the Zombie Den, living and undead guests will enter a bunker-like environment, designed to be a “safe house” for those seeking refuge from a zombie outbreak in Pittsburgh, which was the Ground Zero of the zombie apocalypse in the 1968 horror classic, “Night of the Living Dead.” Some scenes from the film were even shot in the basement of the Original Oyster House. The bar will be located within The Original Oyster House in Market Square, Pittsburgh! The ScareHouse has teamed up with the Pittsburgh Downtown Partnership, The Original Oyster House, and veteran food and beverage experts Michael McCoy and Brian Laing to unleash ZOMBIE DEN: BAR OF THE LIVING DEAD! More information will be released soon on the venue.